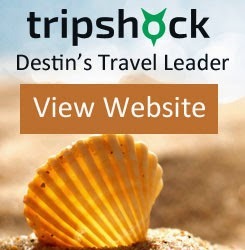 Destin Travel Deals: 50% OFF Henderson Park Inn Getaway Package - Limited Certificates Available! 50% OFF Henderson Park Inn Getaway Package - Limited Certificates Available! For a limited time only, TripShock.com is offering $500 gift certificates to Henderson Park Inn for 50% off. The Henderson Park Inn is Destin's premier bed and breakfast that is adult only. The property is located directly on the beach and is close to major attractions in the area. Offseason rates start at $169/night. Also included in the getaway package is a $100 TripShock gift code that can be used towards 50+ activities and attractions in the area.